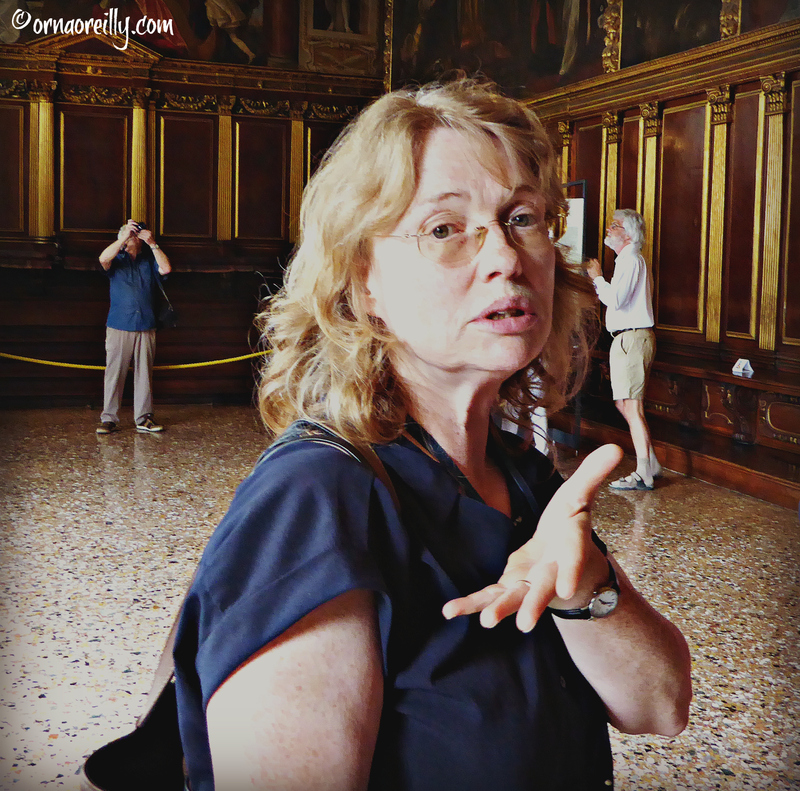 These words, spoken by Susan our guide, sent an icy chill down my spine, but having been invited by Walks of Italy, along with Tom Weber, The Palladian Traveler, to join in their special VIP Doge’s Palace Secret Passages Tour, I really couldn’t chicken out at this stage. Early one morning last week, I hurried to catch the train from Monselice to Venice and was soon speeding across the causeway into the warm embrace of La Serenissima herself. Hopping on the number 4.1 vaporetto, I headed down the Giudecca Canal, where I enjoyed the ever-heady sight of Piazza San Marco as it hove into view. Under the Winged Lion we met our wonderful guide. 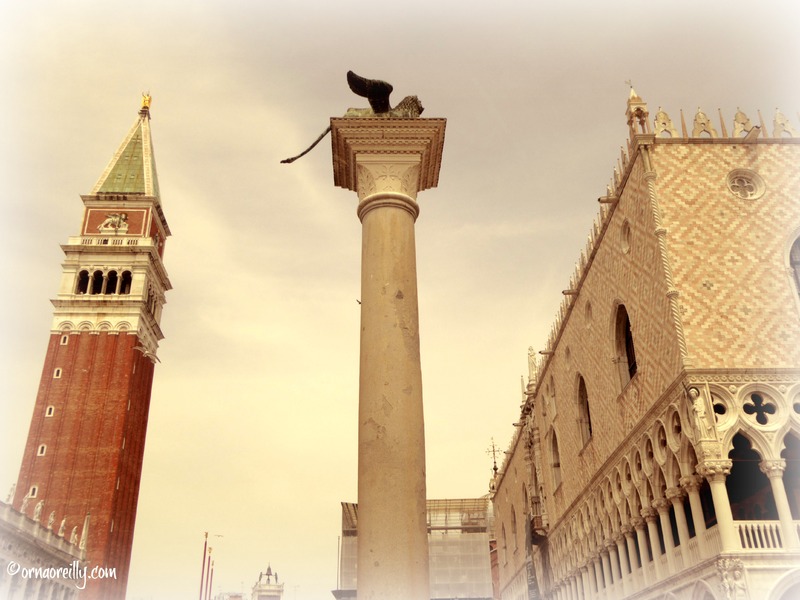 A very bright English lady, Susan is a resident of Venice, with an impressive PhD in History of Art. Linking up with a member of the Palace staff, she led us to a, seemingly, inconspicuous door off the main courtyard in the Doge’s Palace, or Palazzo Ducale as it is known in Italian.The door creaked open and we stepped from the sunny courtyard into the dark, chilly interior of the first set of basement prison cells. These were known as “Pozzi” (wells). 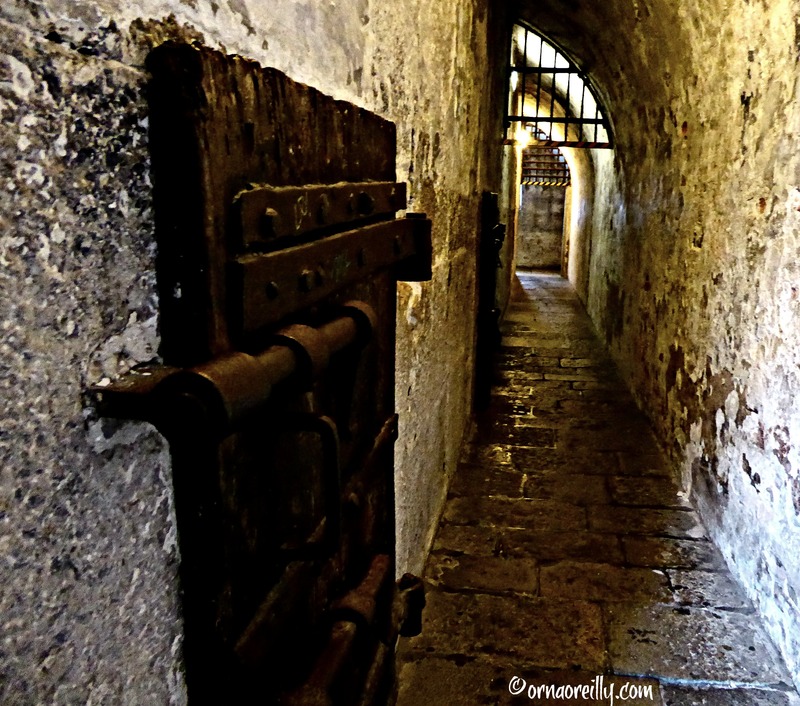 Small and dank, these cells regularly flooded at Acqua Alta and I could only begin to imagine the horror of being imprisoned there under such circumstances. I pictured big brown rats swimming on the fetid waters and the “piss pots,” which comprised the toilet facilities, overflowing. I shuddered anew. 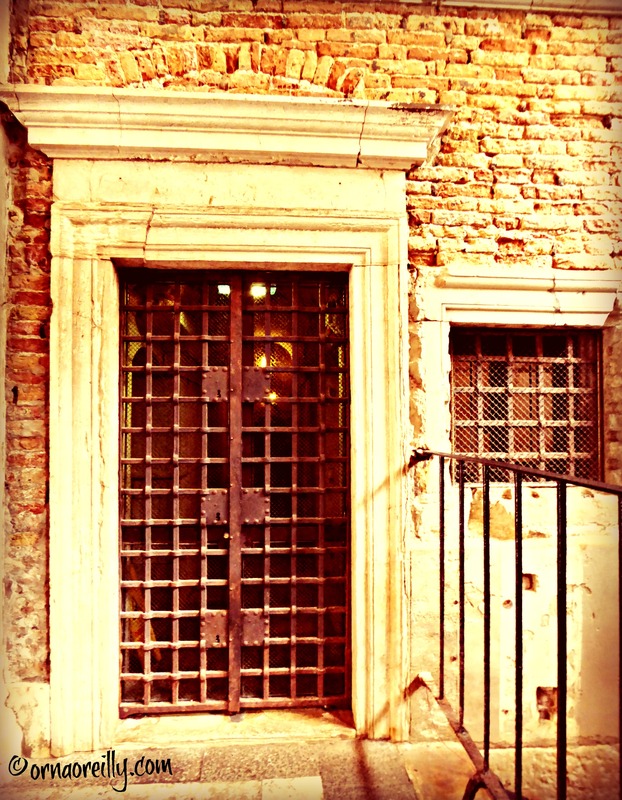 As we progressed upwards through the shadowy passageways, up steep narrow flights of stairs, we entered the executioner’s chamber, high over the courtyard. Mightily gruesome for those of us with imagination, we hurried on to the surprisingly small office of the Grand Chancellor. From there we were ushered into the large room of the Secret Archives. This comprised rows of filing cabinets emblazoned with the names and colourful coats of arms of all the chancellors from 1268 onwards. Next stop was the inquisitor’s Torture Room, where we were greeted by a three step block with a rope dangling from the ceiling. We were told by Susan that prisoners were brought here after a dark night of terror spent listening to paid actors screaming in pretended fright. They were then hauled out and were forced to mount the steps, whereupon their wrists were bound behind them to the hanging rope. As the inquisition progressed, they were lifted bodily if the answers they gave their inquisitors were unsatisfactory. Yet another bout of shuddering and we hurried on. More stairs and further labyrinthine corridors later, we were shown seven “luxury” cells – or “Piombi” (being under the lead roof of the palace) where the infamous womaniser Giacomo Casanova was incarcerated and from where he made his famous escape. These cells were wooden and, apparently, a lot more comfortable than the terrible “Pozzi”, though icy cold in winter and broiling hot in summer. Shown the original piece of flooring from his first cell, complete with hole, where his first attempt at escape was thwarted, we were then taken to the subsequent cell from which he escaped and where they have positioned a reproduction chair to show where he concealed his chisel. Being extra careful not to fall over or to bang my head, we proceeded to the attic area of the Palace. 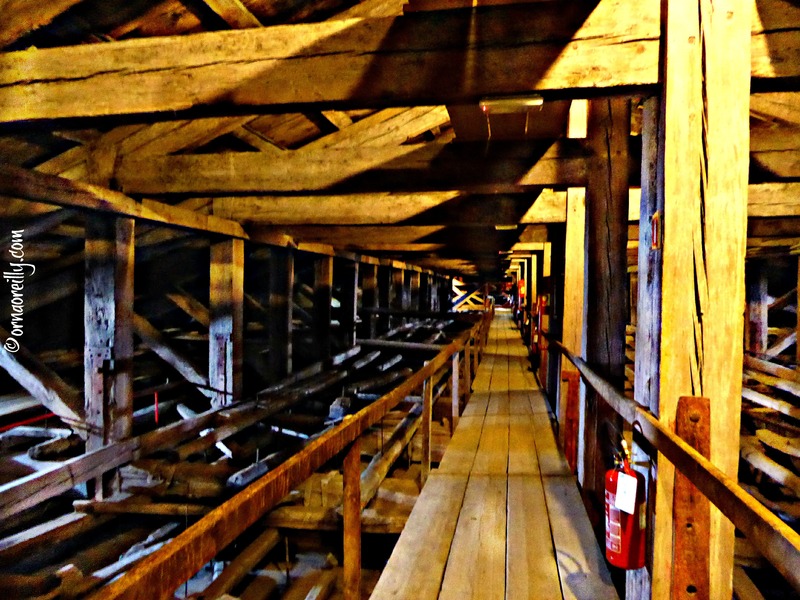 Visiting an attic is not normally an exciting experience, but what an attic we were then shown! 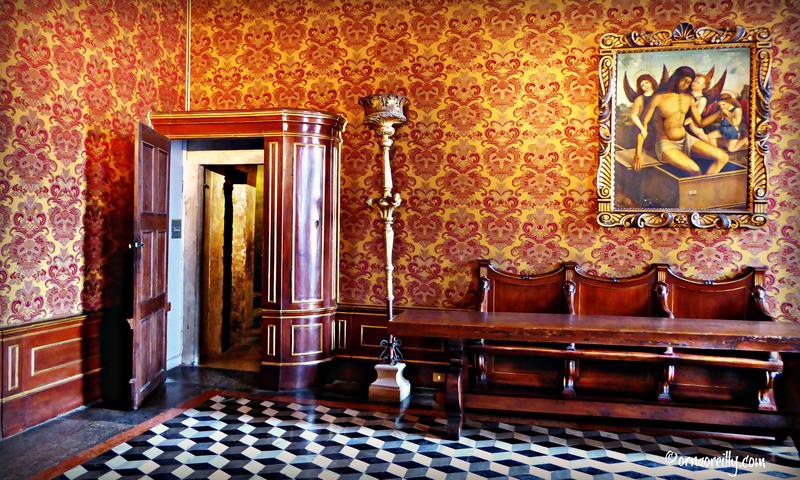 This huge area is situated directly over the Chamber of the Great Council, reputedly one of the largest reception rooms in Europe. The vast room is an architectural wonder because of its lack of support columns and I was fascinated to see how the ceiling is suspended on massive wooden beams. Descending the many steep sets of stairs once more, pausing to look down on the hordes of tourists who were completely oblivious to our unseen presence overhead, we exited the passages via what looked like a built-in wardrobe and re-joined the hoi-polloi. Lavish in the extreme, the fabulous rooms which comprise the majority of the Doge’s Palace are a mighty contrast to the dark, dank cells and passages we had just visited. Stepping down the Grand Staircase and looking up at the myriad paintings and decorations was the perfect antidote to the grim behind-the-scenes visit we had just undertaken. 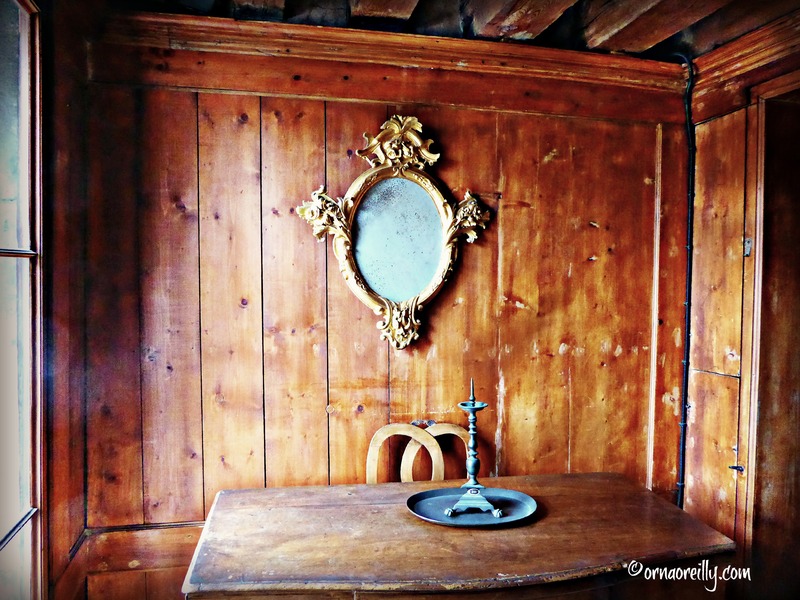 This was my third time to be “embedded” as a guest blogger for Walks of Italy. To read those blogs click HERE for Venice Food Tour and HERE for Legendary Venice and a description of the luxury side of the Doge’s Palace. For full details and prices visit Walks of Italy website. 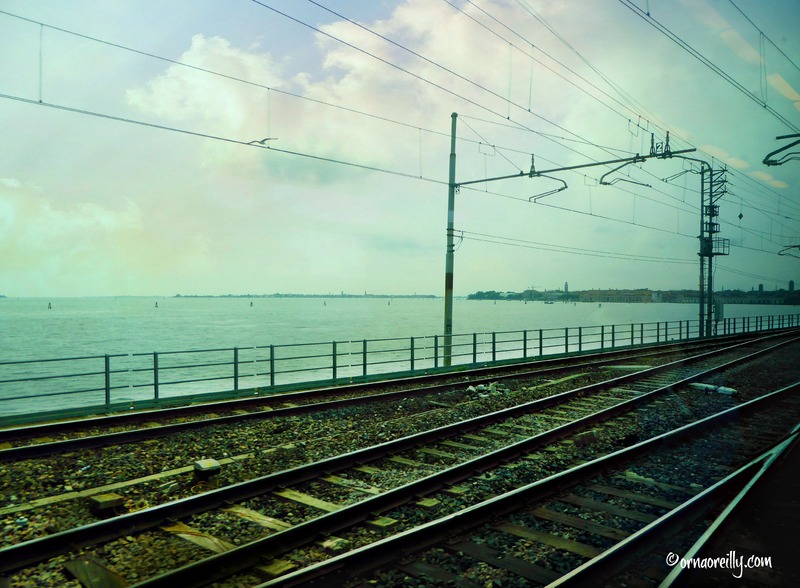 Orna — Great job of documenting and photographing this interesting Walks of Italy. Brava! Orna…thanks for the fabulous review of your tour!!!! It was so detailed & the photos were terrific! !